Last week, the Scouts were given a guided backstage tour of the Regent Theatre in Hanley by our Assistant Scout Leader. There was no show on, so we were able to go to areas the public never see. We even went the top of the stage – 21 metres high! 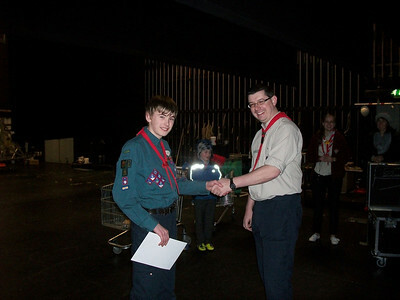 While we were on the stage, I was able to present one of our Scouts with his Chief Scout’s Gold Award. After which he got a huge round of applause from the rest of the Scouts sitting in the auditorium! That’s probably the first and last time that I’ll be standing on the stage of a major theatre and get a round of applause! Previous PostPrevious Nick & Kiff Discuss:- Should Girl Guiding UK & the Scout Association Merge?